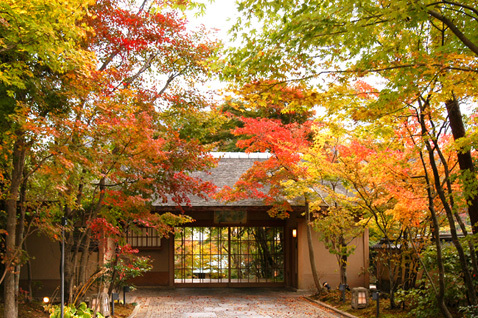 We are a quiet and relaxing inn with a property of roughly 20,000m2 surrounded by Unzen's nature, with 14 wooden Sukiya-zukuri style buildings, each with gardens with different tastes. 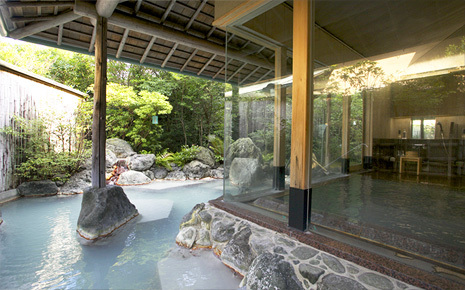 Enjoy the best part of the trip with fresh Kaiseki cuisine, made from locally-sourced ingredients and hot springs drawn directly from the Unzen-Jigoku. 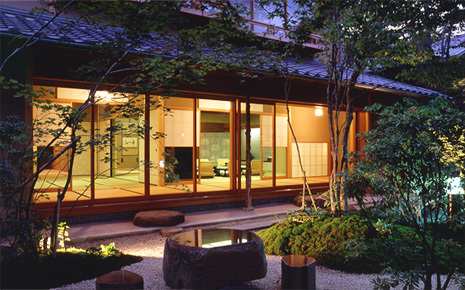 The guest rooms are in 14 Sukiya-zukuri style buildings of art-like beauty made by a Miyadaiku carpenter from Kyoto over a span of 2 years. Of the 14 guest rooms, 12 of them are two-story buildings, and 2 are one-story buildings, and have a space of approximately 250m2, and 310m2, respectively. We provide a spacious, luxurious space. 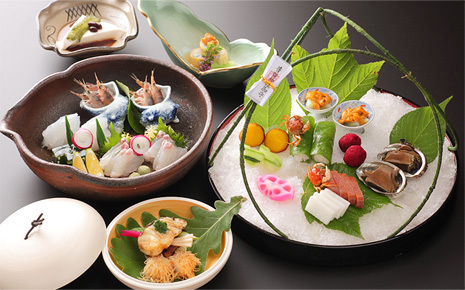 Monthly authentic kaiseki cuisine using fresh vegetables and seafood from around the Shimabara Peninsula. We put an emphasis on the details from selecting the dinnerware and the presentation, and deliver each dish to the rooms. Please feast your eyes and taste buds with your meal in the first floor Japanese room while enjoying the garden and seasons of Japan.